Carol Denise Bayes-Sims, of Charleston, West Virginia, passed away Friday, March 8, 2019, at Thomas Memorial Hospital. She was born to late parents Robert and Pauline Overstreet-Bayes, May 1, 1950, in Charleston, West Virginia. Carol is a graduate of Charleston High School and West Virginia State College. She worked for the State of WV as a secretary and retired with 30 years of service. Carol was preceded in death by her brother, Larry Bayes and sister, Paula Bayes. 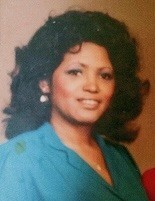 She is survived by her daughter, Sasha Taylor of South Charleston, cousins; Patricia Spurlock, Judy Coleman and Michael Bayes, niece; Tiffany Lowler, nine grandchildren; Simone Sims, Zhane Sims, Yasmine Sims, Pilar Sims, Maliyah Sims, Olivia Taylor, Carrington Taylor, Victoria Taylor and Sophia Taylor and nine great-grandchildren. Carol was a member of Sacred Heart Catholic Church.